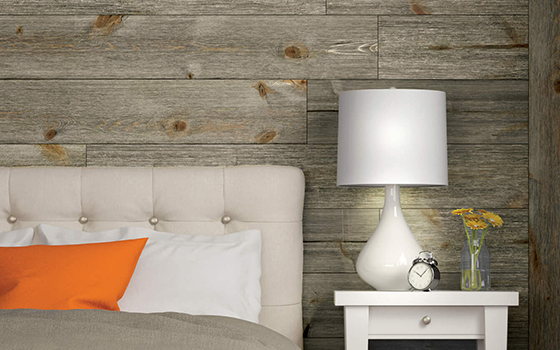 The rustic, weathered look of reclaimed barn wood. Transform your interior walls, ceilings and more. 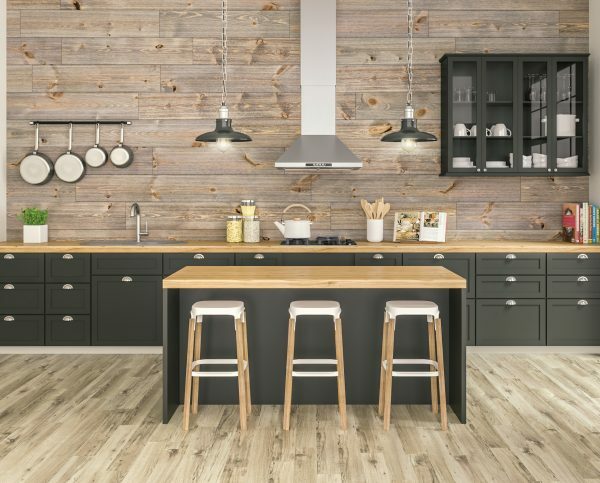 Now you can recreate the rustic, weathered beauty of aged barn wood, without the challenge of acquiring reclaimed wood or the cost and environmental hazards of using it. 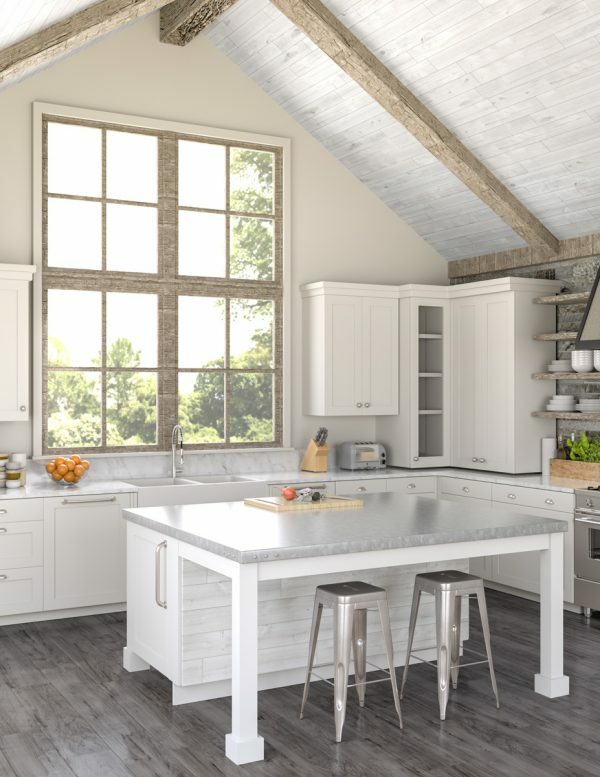 Our Easy BarnWood Collection brings together faithful reproductions of color and texture designed to install three times faster than reclaimed wood thanks to uniform sizing and trusted tongue & groove construction. 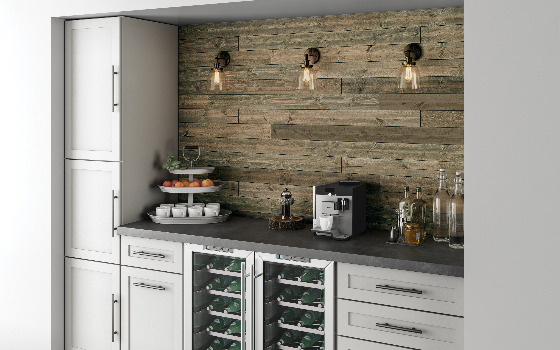 Cover entire walls and ceilings, or balance a modern interior with a rustic fireplace surround, backsplash or accent wall to bring instant texture and contrast to any space. 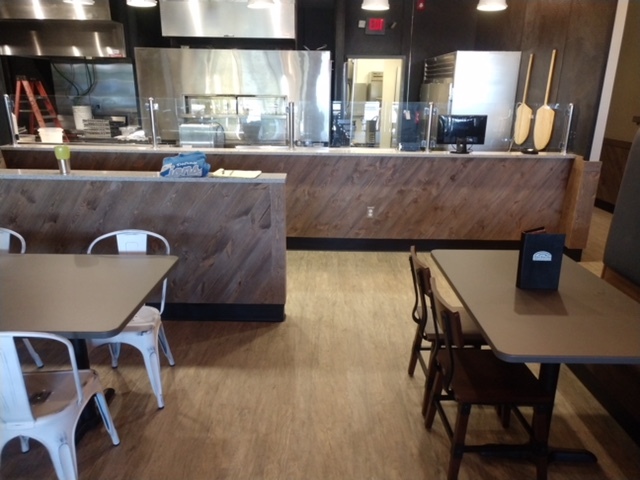 What makes the Great American Spaces Easy BarnWood Collection better than our competitors? It is made from a high grade of Ponderosa Pine, so it is 100% real wood, bringing the outdoors in with warmth, texture and character. 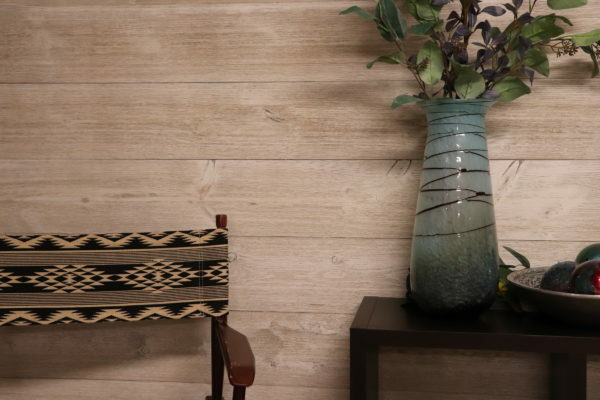 Our pre-finished, tongue and groove planks ensure that the wall surface behind the planks does not peek through, and the tongue is completely pre-finished so small spacing/gaps between planks are not noticeable. 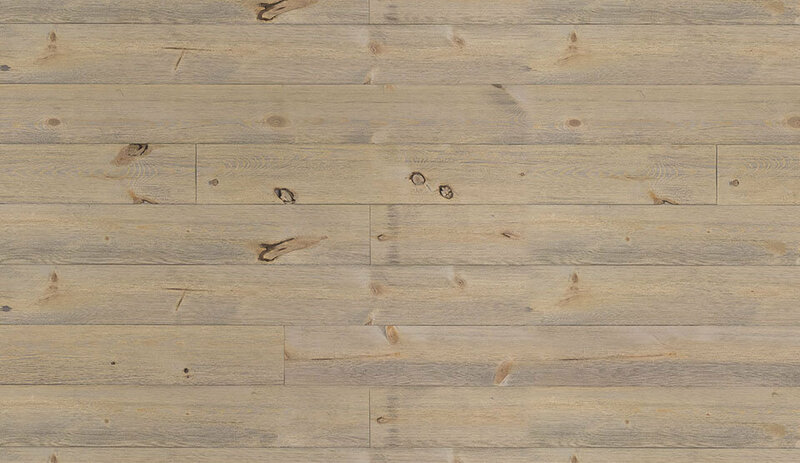 Our proprietary pre-finishing process brings the laid-back style of reclaimed barnwood interiors to your space. 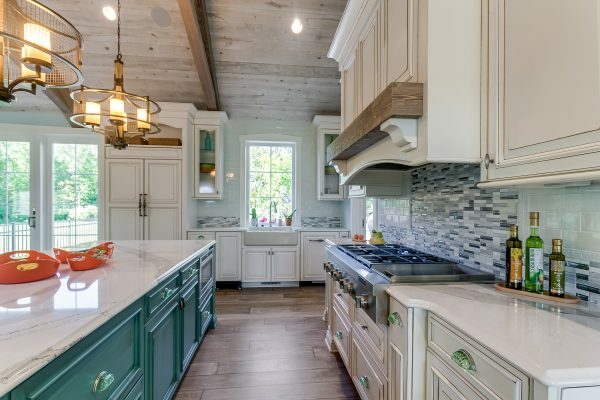 Our finishes are eco-friendly using a safe, water-based finish and require low-to-no maintenance. It is proudly made in the USA in Grand Rapids, Michigan. 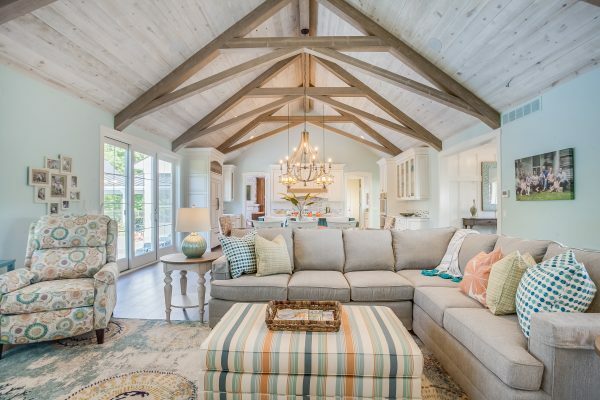 Can Easy BarnWood be installed on ceilings? Yes, Easy BarnWood can be installed on walls and ceilings. Follow installation instructions found in the Installation Guide tab above. 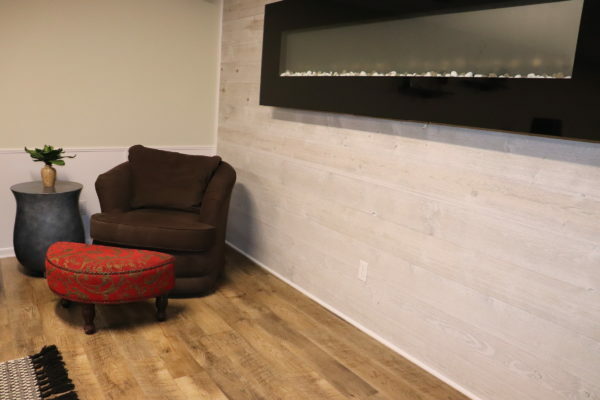 Can Easy BarnWood be installed on fireplace walls? Always follow local codes. As long as the immediate surrounding of the fireplace opening is non-flammable, Easy BarnWood can be installed around it. 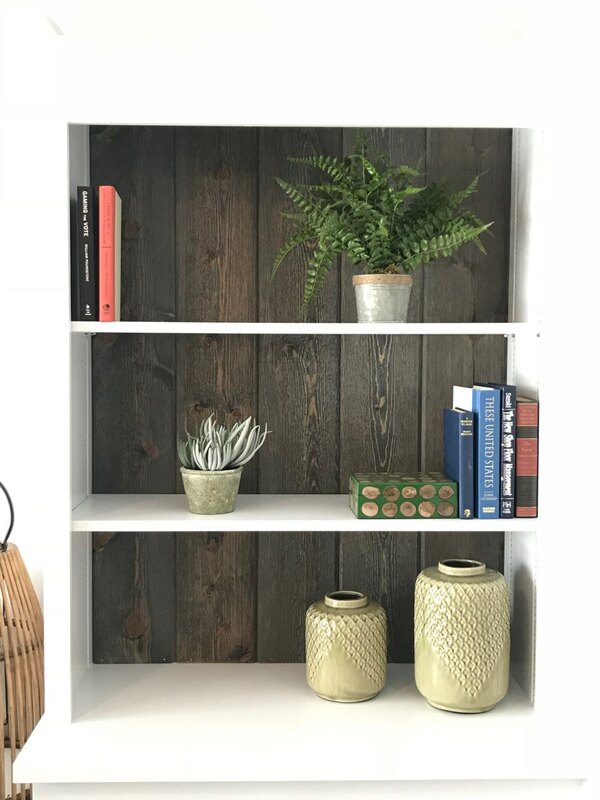 Is Easy BarnWood raw pine or is it pre-finished? 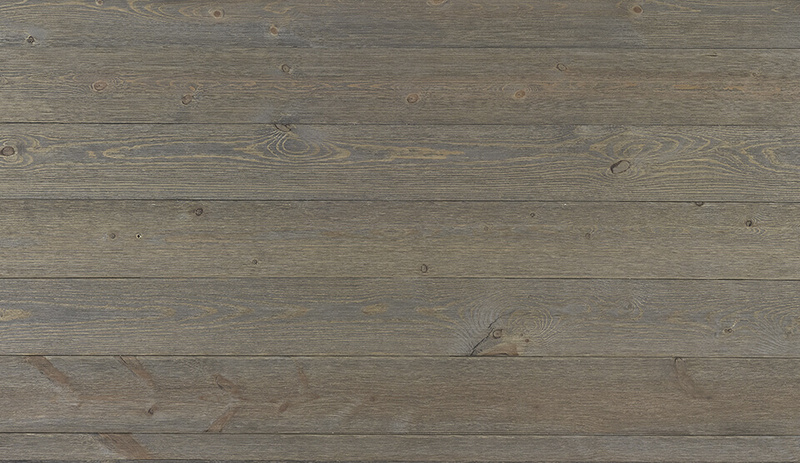 Easy BarnWood is pine that is prefinished in 5 color options. There is no need to hire a contractor to paint/stain. Simply install the product according to the installation instructions found in the Installation Guide tab above and your project is complete. Can Easy BarnWood be installed directly to the studs and skip the drywall step? 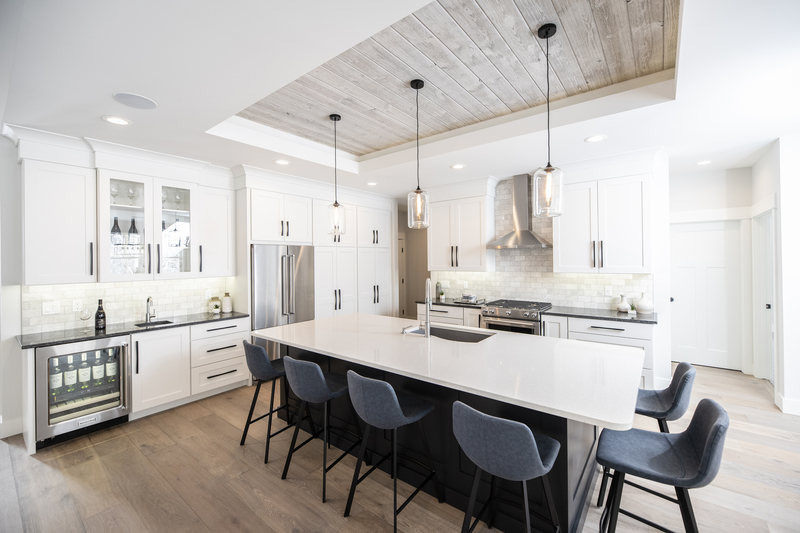 Yes, with our tongue and groove profile, the surface behind the planks will not peek through, however certain municipalities still require drywall in order to meet local building codes. Can Easy BarnWood be installed directly over my drywall? 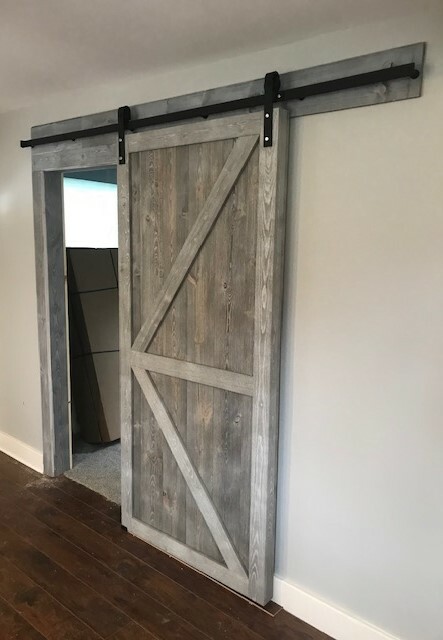 Yes, but Easy BarnWood is 5/8 in thick, so you need to take into consideration your interior window and door trim so as not to lose the shadow line if it has thin reveal. Follow installations instructions found in the Installation Guide tab above, with nailing directly into studs as the recommended installation. Does Great American Spaces offer a product warranty on Easy BarnWood? No, our products should never be exposed to the weather, so there is no need for a warranty. Does Easy BarnWood require maintenance when used inside? 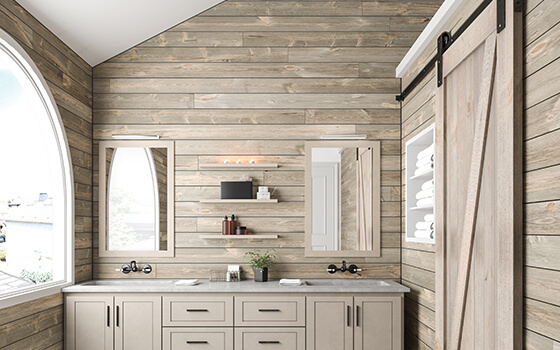 Easy BarnWood is a low-to-no-maintenance product when used inside. As with all wood products, you will experience slight color change over time. 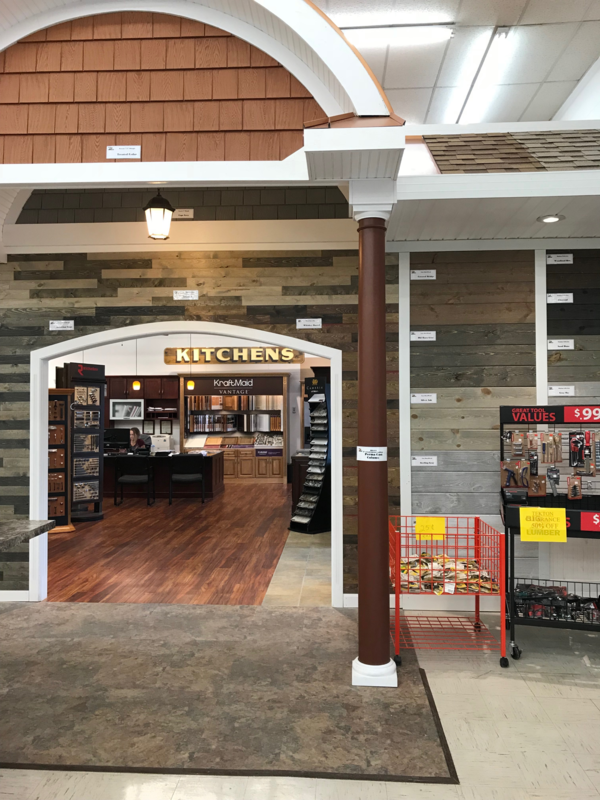 Can Easy BarnWood be used as siding or in other areas that are exposed to the weather? 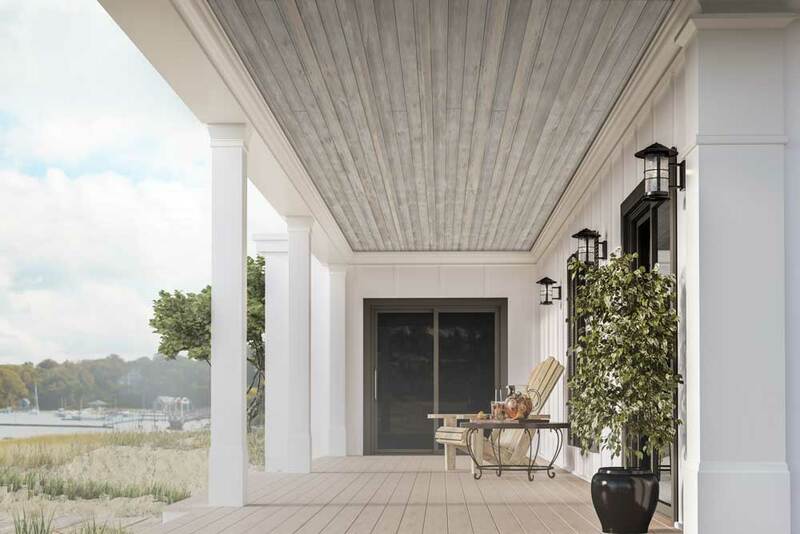 No, Easy BarnWood is not recommended for exterior siding or areas exposed to the weather. 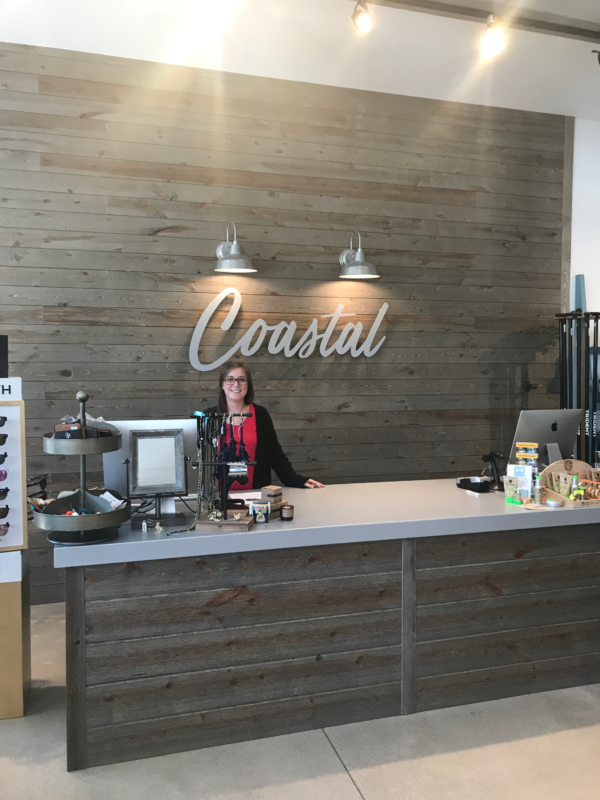 Where can Easy BarnWood be used? Easy BarnWood can be used on dry porch ceilings, interior walls and ceilings, wainscoting, fireplace surrounds, accent walls, bar wraps, interior barn doors and more. It’s not intended for use on floors, exposed outdoor surfaces or in areas with high humidity or contact with water. 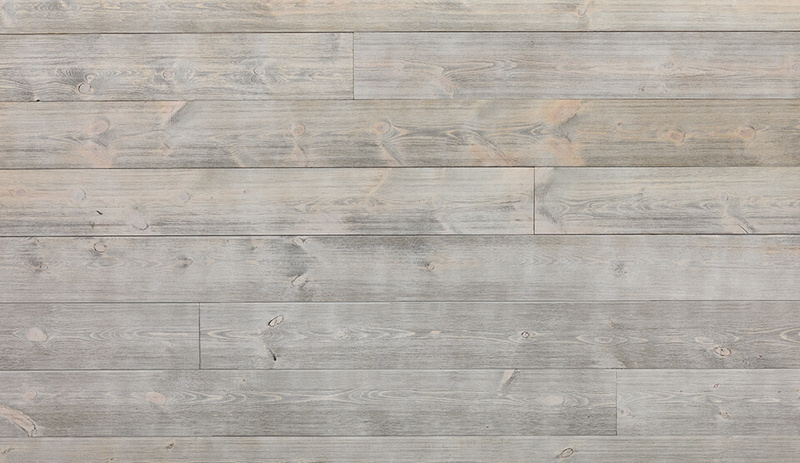 Yes, matching trim is available for our Easy BarnWood Collection. The trim comes in 8 ft lengths. The actual thickness is 11/16 in and the width is approximately 3-1/2 in. Is a touch-up kit available? Not at this time. If you must do touch up, match the finish color and sheen at a paint store. Always do a color test in an inconspicuous area to make sure the match is acceptable before proceeding. 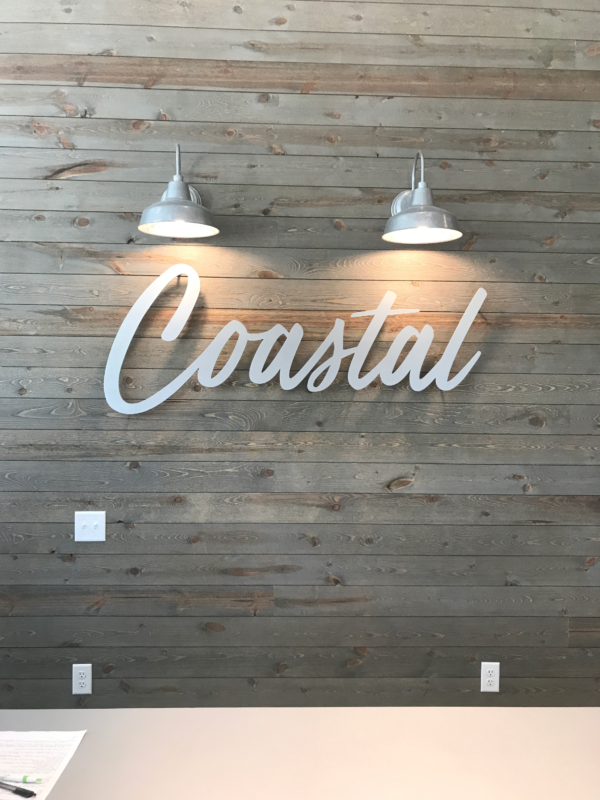 Can Easy BarnWood be installed both vertically and horizontally? 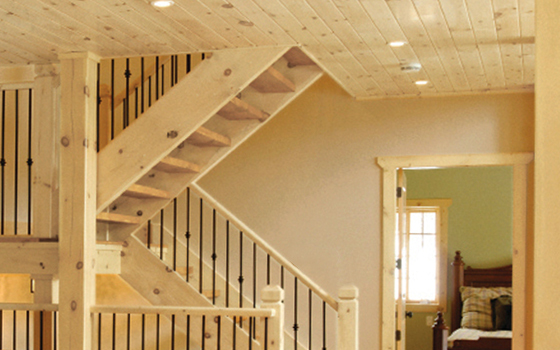 Yes, Easy BarnWood can be installed both vertically and horizontally, according to your preference. 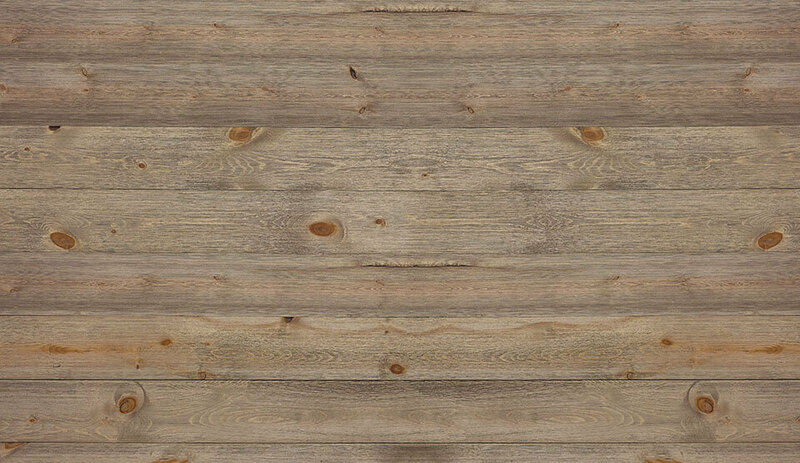 What is the best way to clean Easy BarnWood? Dusting with a soft cloth works well or vacuuming with a soft brush attachment will also work. 1 in x 8 in. 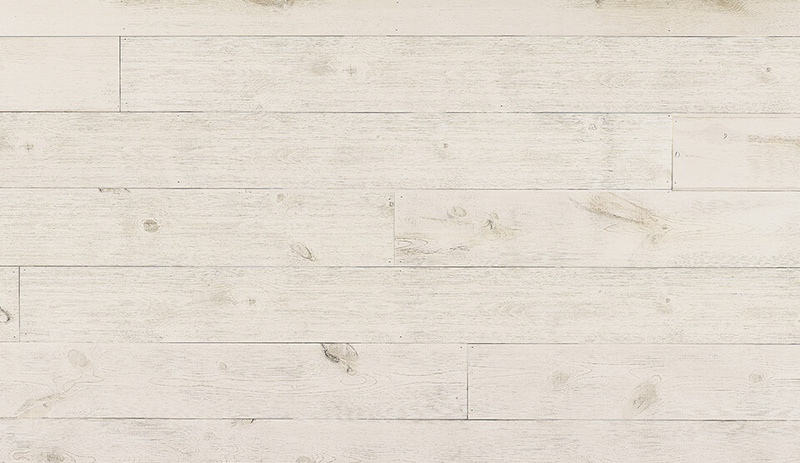 See ShipLap Collection. All our products are designed for fast, easy installation by both professional and DIY installers. 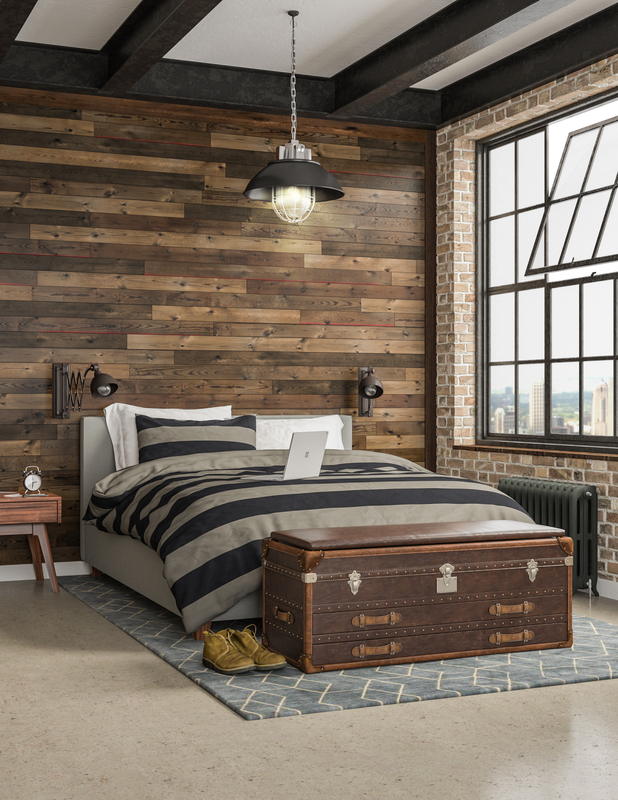 Compared to similar reclaimed or unfinished wood planking, Great American Spaces products install in about 1/3 the time and 1/2 the cost. Want to calculate it yourself? A lot of comments from people after installed in basement. All loved the barnwood. Very easy to work with, can make a do-it-yourself homeowner look like the pros! Share your completed project with us! Upload a photo and tag Great American Spaces on Pinterest. The beauty of our wood is created by its infinite variation in character and color. Please use our samples and literature as a general guide, as every piece is unique. Now find it near you! Great American Spaces products are available at hundreds of dealers across the country.